Noumena Blog: Bassismus über alles! The bringer of brown noise has been silenced, for now. This means that all the bass lines for the songs are "on tape". Playing and recording went more or less as easily as I predicted. On Thursday morning there was still some drumming to do. 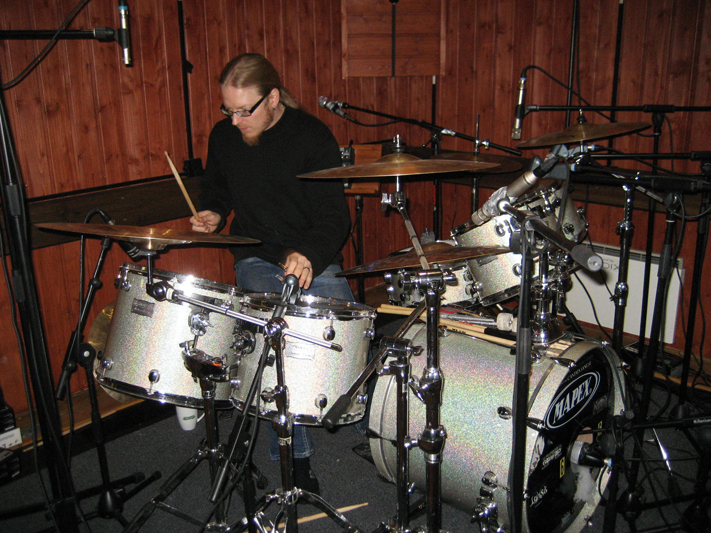 Sometimes slower songs are more difficult to accomplish, but Ilkka did it well. 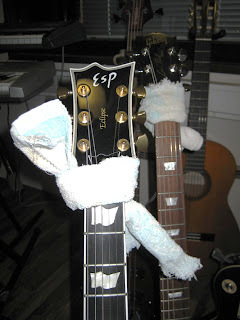 I "helped" him with an acoustic guitar. 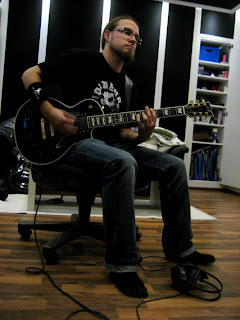 This athmospheric yet esoteric song was the last one for Ilkka to play, so at 11.00 o'clock his responsibilities were fulfilled. Then it was time to spread the gospel of bassismus! Growling ja thundering undertones is a key element in metal music - in fact the bass is the essential instrument in pop and rock music in general. Majority of guitarists won't admit this, but it's the truth. 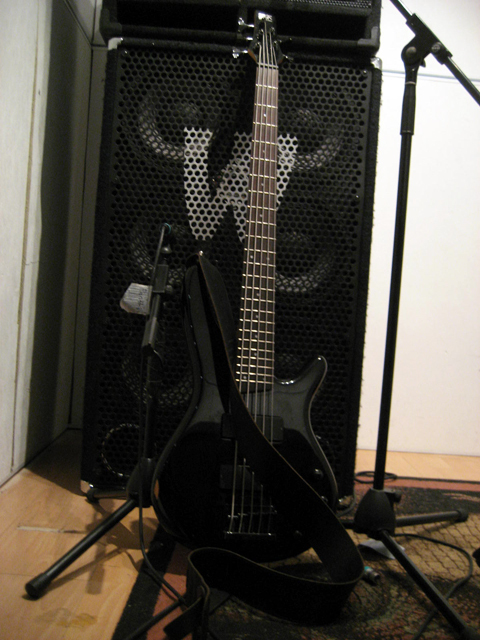 The body of my bass sound rests on the instrument itself and Ibanez Phathed effect pedal. 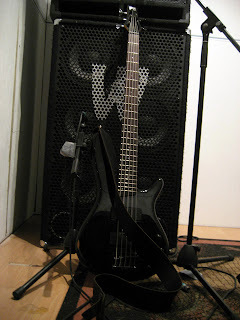 Studio engineer Jarno added a couple of more pedals and at the end of the chain there was a 6x10 Warwick bass cabinet. Goddamn, it sounded good! 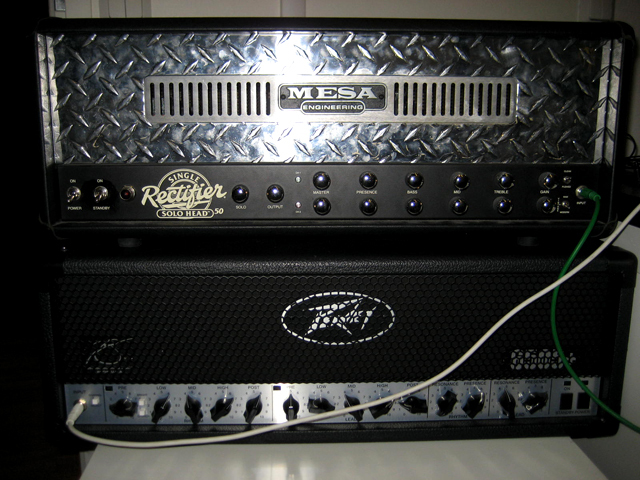 When talking about bass sounds, it's important to have enough overdrive and distortion. The playing went quite smoothly - thanks to frantic rehearsing. Of course there was room for improvising as well. Together with Jarno we arranged and composed some nice harmonics and bass riffs. In the evening we drove to Helsinki to fetch the guitars from Matti's maintenance workshop and Tuukka from Pasila train station. At the studio we sipped a couple of beers and some Ardbeg. The amusement was provided by Ilkka with old classic Finnish comedies from the 80's. Tuukka and Jarno sought decent guitar sounds. 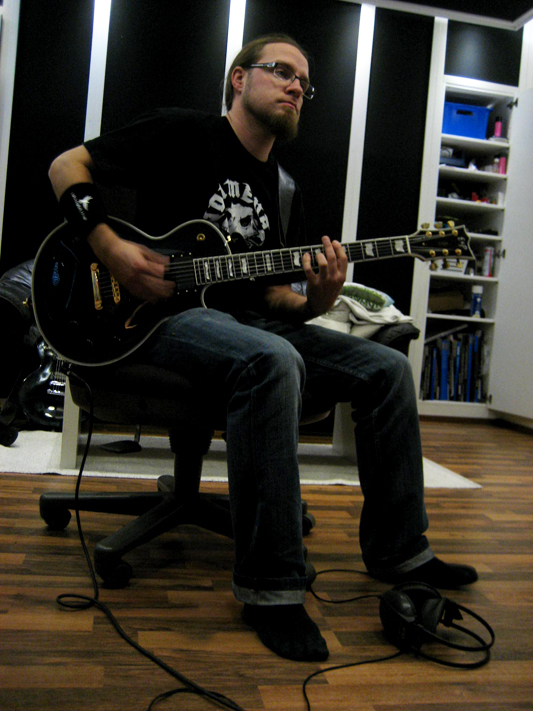 After that Stuba recorded rhythm guitars for two songs. Ilkka decided to drive back to Ostrobothnia. Tomorrow there's going to be lots of palm-muted riffs, pick scratches and open chords. The artistic director Ville will arrive at D-studio and take the charge of everything. To sum the past two days shortly: good times! 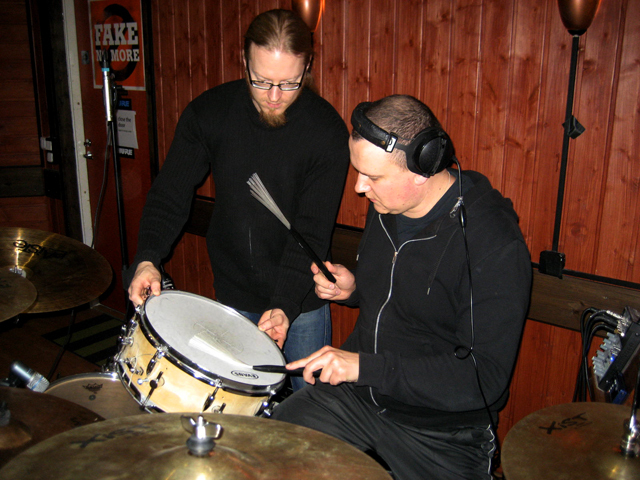 Ilkka showing a proper style to Jarno, the apprentice. 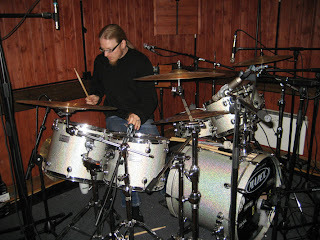 Jarno wanted to play drums, too. Tuukka is thrilled by the guitar sound. The Days of Epic Guitars 5.-9.10.